Roof terrace design experts will be sent to you in London ASAP – we’ll plant shrubs, trees, and flowers in containers to give an instant and lasting impression. In addition, quality screening will provide both privacy and wind protection. Once your service has concluded you’ll be the proud owner of a highly attractive, yet low maintenance outdoor space. Sound good to you? Connect with an expert now. We’ll take your details. And then you can arrange an onsite viewing. We can’t wait to hear from you! An opportunity to meet an expert during an onsite evaluation. Simply ask and schedule one, it will cost you nothing. A unique, stylish, and private outdoor space constructed according to your individual tastes. It’ll also be low maintenance! Want to pay less? You can qualify for a discount. Just combine this roof terrace design service In London with either our window boxes and planters or artificial hedge installation. You’ll get great savings. Get the ball rolling by connecting with a customer care professional now. You’ll get a preliminary quote and an onsite evaluation. Within three working days after this visit your estimate will be finalised. Arranging roof garden design has never been easier. Once your terrace has been completed you’ll have an amazing outdoor space in which to relax. It’ll fulfil every single one of your requirements. Your roof will have been transformed. And now be filled with bright, colourful vegetation, and stylish furniture. While quality screening will give you extra privacy. 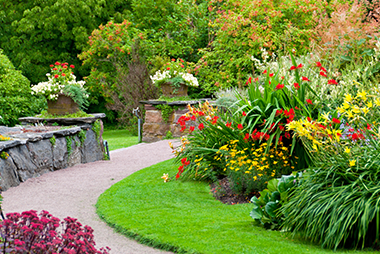 What’s more, it will require so much less maintenance than your garden – you certainly won’t have to mow a lawn! You can invite your family and friends to a rooftop party, and so much more. Every single member of the roof terrace design team we send to you in London has undergone a strenuous training regime. As a result your service will be completed as soon as possible. In addition, we’ve been working in the industry for many years. And you’ll benefit from our vast experience. Decided on your roof garden design plans? You can reach us over the phone or online round-the-clock. Get more details over on this website’s contact us page.